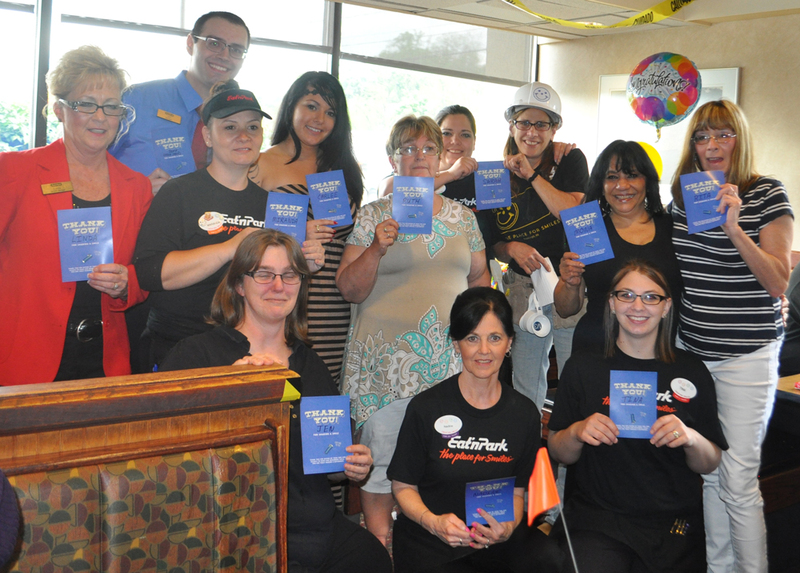 During this time, we strive to thank and recognize our hardworking Eat’n Park team members in the field for their years of dedicated service. Each location throws a special party for their crew, recognizing service milestones ranging from 5 to more than 40 years! In fact, we even have an annual dinner for our Quarter Century Club – a group of current and retired team members who each have more than 25 years of service with the company. In addition to these celebrations, every person who works in our Corporate Support Center (CSC) takes a day to work at one of our restaurants. They help out wherever needed - be it seating guests, chopping up vegetables, or even making Strawberry Pies. And when we say every person, we mean it! Our CEO, Jeff Broadhurst, not only chipped in to help out at our Uniontown restaurant this year, but he also became an expert in taking selfies with the team! 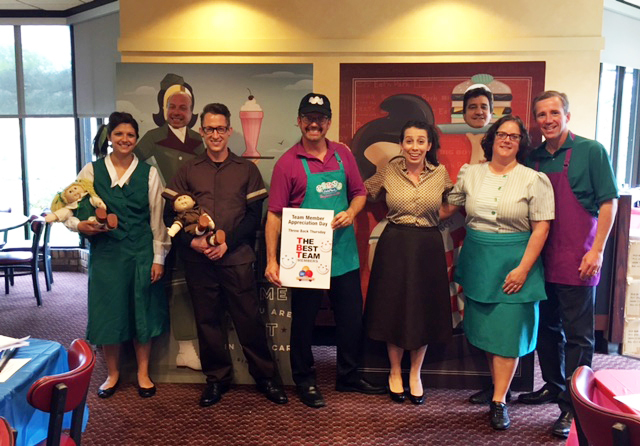 At our South Hills Village location, our CSC visitors really got into the spirit, dressing in Eat’n Park uniforms from the past few decades! They even brought along fun cardboard cutouts which were inspired by our Big Boy days. During this special month, we also take the opportunity to thank over 1,200 volunteers who donated more than 30,000 hours of their time to help make our neighborhoods a special place to live. Each volunteer received a special pin to recognize their hard work in their community. 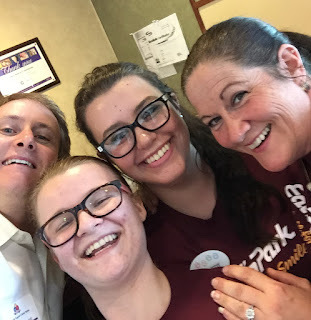 Our team member volunteers at our Avalon location were all smiles and are looking forward to another great year of volunteering!